Highlights of the Sky Bet League One match between Crewe and Barnsley. 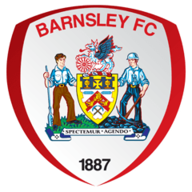 In-form Barnsley made it nine wins from their last 11 games as they staged a second-half fightback to win 2-1 at lowly Crewe. The strugglers led at the break through a Jon Guthrie strike, but the Tykes produced a classy response on a poor surface with goals from Sam Winnall - his 18th of the season - and Alfie Mawson clinching victory. Manchester United loanee Ashley Fletcher was offered an early opportunity but Alex goalkeeper Ben Garratt came off his line to make the block and James Jones cleared off the line. 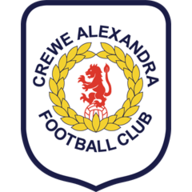 Crewe were not short of an attacking threat and Brad Inman forced Adam Davies to save his angled drive. And the home side took a 32nd-minute lead through defender Guthrie. George Cooper's low free-kick fell for Marcus Haber whose shot on the turn deflected off defender Guthrie and carried across the line. It was another set-piece which brought Barnsley's 53rd-minute equaliser, with Winnall running free to greet Conor Hourihane's corner with a close-range finish. Barnsley edged ahead through Mawson's 20-yard free-kick with the centre-half driving a right-foot shot beyond the Crewe wall and into the corner in the 67th minute. Garratt kept the score down by denying Fletcher and Winnall and tipping substitute Harry Chapman's lofted effort onto the crossbar.